If you’re thinking of travelling to North Cyprus at any time, it is well worth checking the dates to make sure that you won’t be caught out, as all government offices and banks will be sure to be closed for the duration of any bayram! Below is a list of the main bayram holiday dates which are observed in North Cyprus, although we haven’t included New Year as the date and significance of this event are pretty obvious! 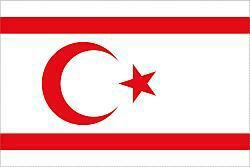 This is a Turkish bayram that is also observed by the Turkish Republic of Northern Cyprus. It is to celebrate the establishment of the Grand National Assembly in Turkey in 1920 which then formed the foundations for Mustafa Kemal Atatürk’s modern republic of Turkey. The reference to children in the celebrations is to emphasise how important children were for the future of this new republic. Labour Day, also known as May Day, is also celebrated with the rest of Europe, and recognises the efforts of the labour union movement. However, here in North Cyprus it is sometimes a movable date! This is another Turkish bayram noted in North Cyprus, this one is to commemorate the beginning of the Turkish War of Independence and the liberation of Anatolia and Istanbul by Atatürk. 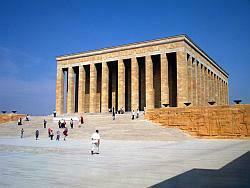 Ceremonies are held all over Turkey and North Cyprus with the main focal point being military and civilian officials attending a ceremony at Anitkabir, which is the location of Atatürk’s mausoleum in Ankara. This is a very significant date for Turkish Cypriots, coming five days after the failed coup by Greece to overthrow Archbishop Markarios, aimed at uniting Cyprus with Greece. Turkey intervened to protect Turkish Cypriots, and on 20th July, now known as the Turkish Peace Operation, Turkish forces arrived in the north of the island, successfully preventing any further bloodshed. Peace & Freedom day is celebrated by everyone, with dignitaries coming from Turkey to attend the festivities. You can also enjoy the air force jet plane display which happens every year at the old harbour, which never fails to impress. 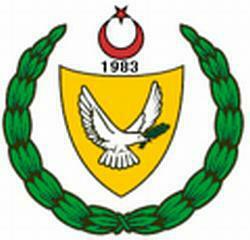 The TMT (Turk Mukavement Teskilati or Turkish Resistance Organization) was formed in 1958 and was active until around 1974, and was formed in response to the Greek Cypriot organisation EOKA (Ethnikí Orgánosis Kypríon Agonistós or National Organization of Cypriot Fighters), whose sole aim was to achieve ENOSIS (meaning union) of Cyprus with Greece, at the same time striving to get away from British rule. Another Turkish bayram but an extremely important one. Atatürk’s forces, in a huge offensive that lasted only four days, liberated Turkey from the invading Greeks. Zafer Bayram is marked with top military officials, the president, and cadets laying wreaths at Atatürk’s mausoleum in Ankara. One more Turkish bayram and this is to commemorate the declaration of an independent Republic of Turkey in 1923, the culmination of the War of Independence and the victory of Turkish troops on 30th August. This is quite an emotional bayram for some, as this was when The Turkish Republic of Northern Cyprus (TRNC) was established on 15 November 1983. Sadly as an independent state it was and still is only recognised by Turkey. A new constitution was drafted and adopted two years later, in 1985. Ramazan (Ramadan) is a month of fasting for many Muslims and at the end of this there is Şeker Bayram (Sugar or Sweet Bayram). Generally in North Cyprus fasting is entirely dependent on the individual or family and is not practised by everyone, but the bayram holiday is celebrated by all, usually lasting four days depending on when the date falls. There are lots of festivities, with artists and pop stars coming from Turkey to entertain at the larger hotels. People gather and visit friends and family, handing out sweets and presents. The older members of the family and society are very much respected at this time, and tradition dictates that their hands are held and kissed with the hand then being raised to the holder’s forehead. It is also a time for reflection and is an important time for the more devout Muslims who will also attend the mosque and visit the graves of friends and relatives. Ramazan Bayram in 2012 will fall on the 18th to 21st August and in 2013 it should fall between the 7th and 10th August. This Muslim bayram happens two months after the Şeker/Ramazan Bayram, and also takes place over four days. It is practised by the worldwide Muslim community. It is not so widely practised in North Cyprus, but it is to commemorate the sacrifice of Ishmael by Abraham. Tradition dictates the slaughter of animals such as sheep and cows, with meat being given to poorer neighbours and relations. Again it is a time for reflection, visiting family graves, and also abstaining from alcohol. Kurban Bayram 2012 will fall on the 24th to 28th October and in 2013 it will be between the 14thand 18thof October. As “Some bayrams are based on the Islamic lunar calendar”, perhaps you might update this for 2012/2013. your wish is our command – please see updated dates!